Confession: I feel like I am in a workout rut. I have all the good intentions in the world, but then I just don’t end up working out. I just keep making excuses (which have all seemed pretty legitimate, at least at the time), but then a few days go by and then I realize that I haven’t worked out in way too long. I don’t want to wake up and work out before going to work, because then I’d be working out at like 3:00 a.m. and that is just disgusting to think about. I keep having errands to run after work (getting my driver’s license renewed, getting my car’s safety inspection done, etc. ), and then I get tired so early (because I wake up so early) so I don’t want to work out while I’m exhausted. I thought that to give myself some extra motivation to actually to and get my workout done, I should make a new killer workout playlist. So that is exactly what I did. 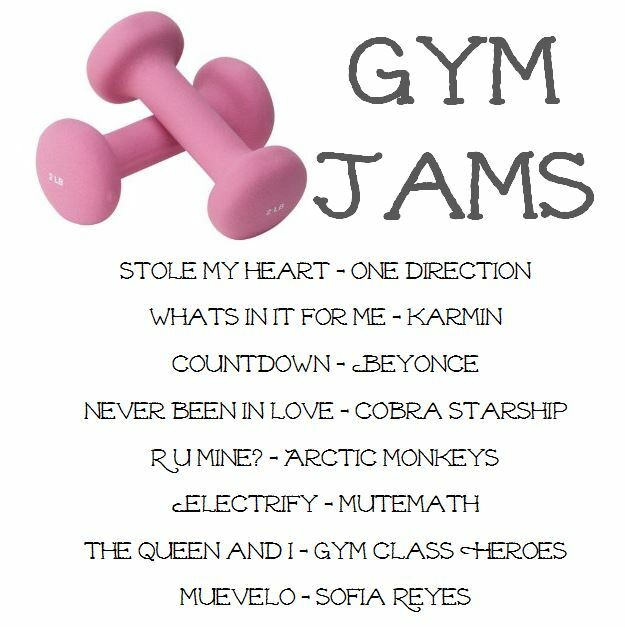 These songs are all pretty fun and upbeat and should be great to pump up my next workout! Which will hopefully be soon. But not right now, because I’m like really busy, so…. Ok maybe I’ll try and do something active after dinner. We’ll see what ends up happening!